Patterns are one of the hottest design trends we've seen in a while. You can incorporate patterns into a room in so many different ways and with so many different types of flooring! Here at Kermans Indianapolis flooring store we've talked a lot about patterned carpet but today lets spend some time exploring how to use tile to create some beautiful patterned floors. A great option for a more conservative design approach. Find your perfect tile and then mix and match sizes to establish a repetitive pattern. It's a subtle but strong look that really makes an impact in any room in the house. Ceramic, porcelain, stone... any type of tile works. If you have a larger space, you might consider a larger shape for the tile such as a hexagon or repeating L-shapes. And don't be afraid to mix large tiles - 12"x24" with small tiles 6"x6" for fun variety. This repeating pattern style can be bold or subtle based on the colors you choose. You can certainly combine this pattern option with the above but it also creates a beautiful floor with tiles of all the same color. Moroccan inspired tiles, modern geometric, or other patterned tiles have patterns built into the tile themselves. If you're looking for a bold, fresh look this is the pattern option for you. Whether you choose a tile with a black and white design or one with many colors, these patterned tiles make a big statement and work well in rooms with simple, streamlined furnishings or entryways. And don't be afraid to use patterned tiles on a wall for a mosaic feel! We could also call this option anything goes. 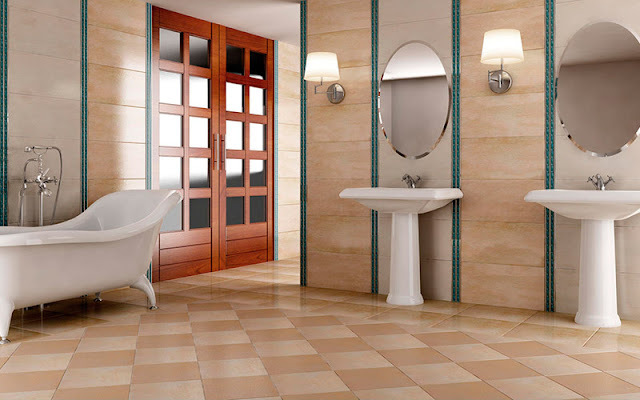 If you find a patterned tile that you love for the floor - consider adding different types of tile on the walls. Check out this bathroom for an excellent example of how using the same color scheme allows you to mix and match both patterns and tile types. Glass tiles come in a wide range of colors and are naturals for mosaic walls in a bathroom or kitchen. They can provide a contrasting pattern for any type of tile floor. 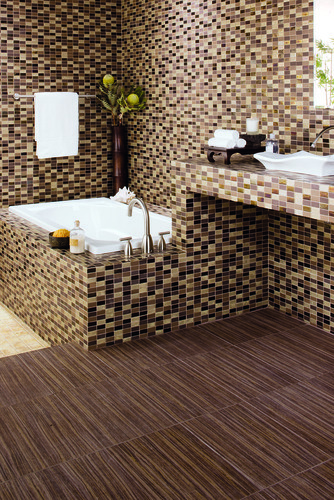 Tiles have always been popular because of their easy maintenance and durability. Now they are taking on a whole new level of popularity because of their fun pattern potential! Feeling inspired to add some pattern to your home? 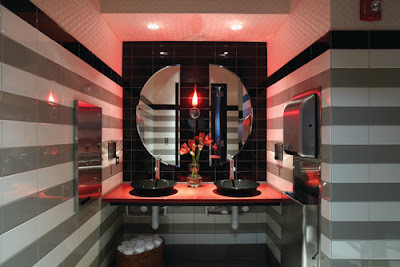 Schedule a free design consultation at Indianapolis tile store, Kermans. On the form you can tell us what you're thinking of and we'll have samples pulled and ready to get to work.